Visual Lure recently launched a new website for Niche Photography. 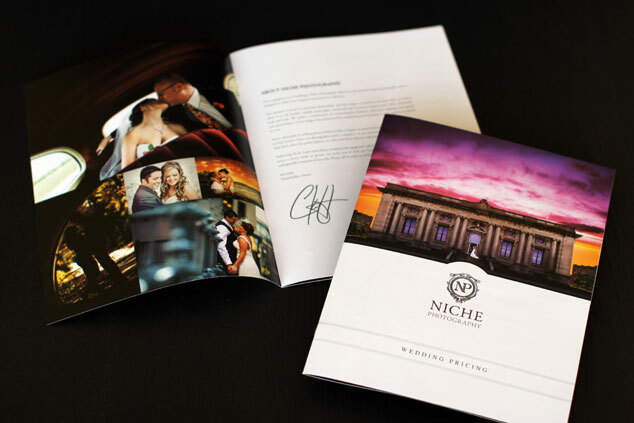 Niche Photography is a St. Louis area wedding photographer specializing in portrait, baby and high school senior photography. They are located in Mascoutah, IL and service the entire St. Louis and St. Louis metro east area. In addition to their new website, we updated their identity package and designed a new pricing brochure for them. The new website was built using a fully custom designed, search engine friendly, responsive WordPress theme with a multitude of cool effects. The new site features a “sticky” menu that always stays at the top of the page. The logo mark elegantly fades away allowing the menu bar to use less vertical space. Other features include an easily maintainable home page slideshow, a unique rollover-effect for recent post on the home page, and masonry style responsive galleries. 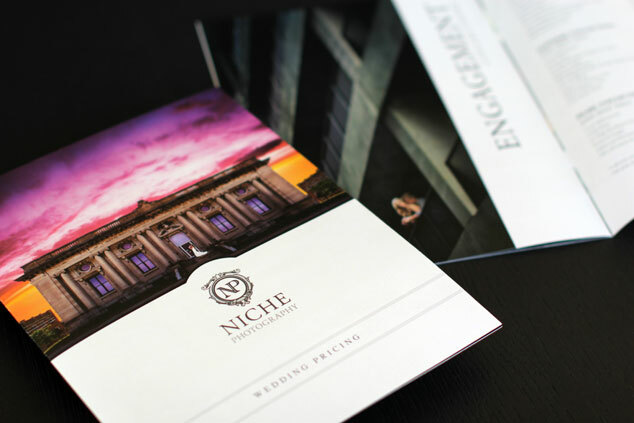 Click here to visit Niche’s new website. We also updated Niche’s visual branding package by switching his logo to all grey (the logo mark was originally a Tiffany’s colored teal blue). Niche felt this switch made the brand more neutral or more appealing to the masses. We wrapped up all these upgrades with an engagement and wedding pricing brochure. They will hand these out to potential bride and grooms at local bridal shows. Update: We recently received printed samples of the new brochure and had a chance to photograph them. They turned out fantastic!